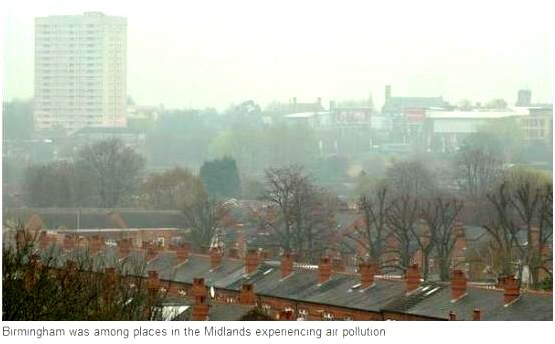 How many Brummies died last year due to air pollution at illegal levels? Around 29,000 people die prematurely each year in the UK because of air pollution, according to Public Health England in 2014. The worst affected cities in Britain are Birmingham, Leeds and London. A year ago, ITV News Consumer Editor Chris Choi reported from Birmingham. Professor Rob Mackenzie (above, Birmingham University) said that there is increasingly strong evidence of the effect of air pollution on hearts and lungs. ITV’s short video may be seen here. 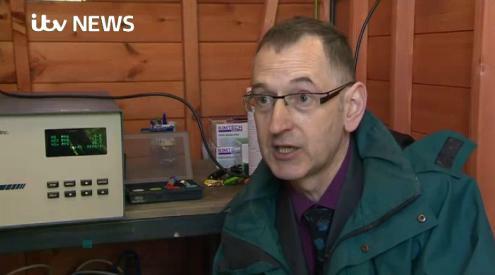 Another ITV News article quoted a spokesman for ClientEarth, an environmental law organisation which has been fighting a legal battle to improve air quality: “We think the government will need to get rid of the dirtiest diesel vehicles – perhaps with a network of ultra-low emission areas across the UK.” It was alleged that the main culprits are not private cars but older buses and diesel-powered trucks – a charge disputed by The Times. After five years of litigation, the Government was ordered by the UK’s highest court to take immediate action over its obligations under European law on air pollution limits. The Supreme Court unanimously ruled that government must submit new air quality plans to the EU no later than 31 December 2015. However, ClientEarth believed the government was still in breach of its legal duty to produce new air quality plans to bring air pollution down to legal levels in the “shortest possible time” and asked judges to strike down the plans released on 17 December, which, they contended, wouldn’t bring the UK within legal air pollution limits until 2025. They sought a court order requiring new plans and an undertaking that government will act on them. On April 28th this year, a judge at the High Court granted their request to pursue a Judicial Review against DEFRA. Birmingham fascinates me that there are always roadworks and demolitions and new building projects. How is that contributing to people’s ill health? respiratory, Asthma, Eczema, Allergies?